New-generation radio telescopes have been producing an unprecedented scale of data every day and requiring fast algorithms to speedup their data processing work flow urgently. The most data intensive computing phase during the entire work flow is gridding, which converts original data from irregular sampling space to regular grid space. Current methods are mainly focused on interferometers or have limitations on the resolutions due to the memory wall. Here we propose a CPU-GPU hybrid algorithm which accelerates the process of gridding. It employs multi-CPU to perform pre-ordering and GPU to speed up convolution-based gridding. 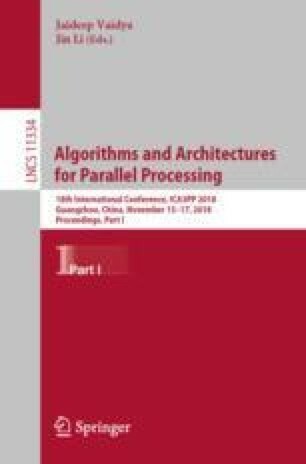 Several optimization strategies are further proposed for reducing unnecessary memory access and maximizing the utilization of the heterogeneous architecture. Testing results demonstrate that the proposal is especially suitable for gridding large-scale data and can improve performance by up to 71.25 times compared to the traditional multi-thread CPU-based approach. The authors would like to thank Benjamin Winkel for providing the Cython code of the cygrid method. This work is supported by the Joint Research Fund in Astronomy (U1731125, U1531111) under a cooperative agreement between the National Natural Science Foundation of China (NSFC) and Chinese Academy of Sciences (CAS). This work is also supported by the Young Researcher Grant of National Astronomical Observatories, Chinese Academy of Sciences.